Congratulations to the Village Voice on its 100th edition - it is a privilege to share this local, readable platform on its monthly outing. It is reassuring to know, based on comments received from my many clients, just how much my profile has been enhanced by taking advantage of this highly effective placement. New Malden and Old Malden libraries would like to extend our warmest congratulations to The Village Voice on the publication of the 100th issue! These magazines are eagerly snapped up by our library users and the feedback that we get regarding them is a credit to all of the hard work put in by Jenny and the team. Best wishes to you and here’s to the next 100! We’ve been so happy advertising in this terrific little community magazine that we’ve stayed in it for over 7 years. Congratulations to the Village Voice and Jenny on its 100th edition – we are proud to be associated with you. Westbury Garage. Advertising since 2006. The Royal British Legion wish to congratulate the Village Voice on their 100th Edition. It has suppported the Legion in every way and we hope it will continue to do so. The Legion this year will be holding various functions in connection with the 100th Anniversary of the start of WW1 details of these will be advertised nearer the date and it hoped that the public will support us in what we do. Congratulations and very special thanks to the Village Voice for providing an invaluable means of informing the local community of our charitable activities throughout the year.Lastly, we have recently been informed that polio has finally been eradicated in India and Rotary played a major part in this project. New Malden Methodist Church would like to congratulate the Village Voice on it's Centenary Edition. This community magazine is welcomed by all our members and coffee bar users as an informative and interesting tome reflecting the many diverse activities for all the community whilst giving a unique insight into the history (ancient and modern) of the New Malden Village concept. Dear Jenny. Many congratulations on your 100th Edition. The Study School are very proud to be part of your wonderful, local publication. Our regular advertising slot has been very valuable in attracting new families to our school and we are pleased that The Village Voice continues to grow. With very best wishes for the next 100 editions! Mrs Ray and all at The Study School. Congratulations on reaching 100 editions ! I have advertised successfully with you since 2007 and have enjoyed a great response from the community. This format really works as people like to use local trades and the rates are really competitive. I Look forward to sending another testimonial for the 200th edition. Congratulations Village Voice! Well done for the 100th edition... It has been wonderful being associated with a local paper that is really relevant to its community and a great platform for businesses to market their services in. The Village Voice has been extremely helpful to us for the advertising of our fairly new business A1 Dry Cleaners in South Lane , which opened March of 2013, if it hadn't been for the professional advertising and friendly staff there, I'm not sure how many people would have found us. Thank you very much Jenny and wishing the Village Voice continued success for the future..
Congratulations Jenny on your 100th edition. We have proudly advertised in the Village Voice since 2009. It has really helped put our business on the map. We look forward to the next 100 editions. Well done! Malden Monday Netball Club would like to add its congratulations for the 100th edition of the Village Voice. It’s a fantastic achievement. We’ve had a listing in the Village Voice for 8 years now (!) and many of our current members have come from this monthly listing. Thank you, Jenny, for helping our local groups to continue. Being the only Independent Letting Specialist in New Malden the Village Voice has proved to be a vital part of our local marketing. We are always thrilled with the response to our adverts and feel the community benefits from having a small publication which supports local businesses. Well done on reaching your 100th edition. Congratulations! Jenny and the Village Voice. What a fantastic magazine which is right at the centre of the community! Thank you from local charity Lunchbowl, for your assistance, promotion and support of all our local community events which has led so many of the wonderful New Malden folk to attend and raise funds for the orphans in the Kibera Slum. We don't know what we would do without you! Well done for all your hard work and here's wishing you many, many more editions!! We would like to wish Jenny congratulations on the 100th edition. We have been advertising since 2007, have always had a great response, and have seen the Village Voice go from strength to strength! Hamseys Discount Bed Stores send our warmest congratulations to you Jenny! 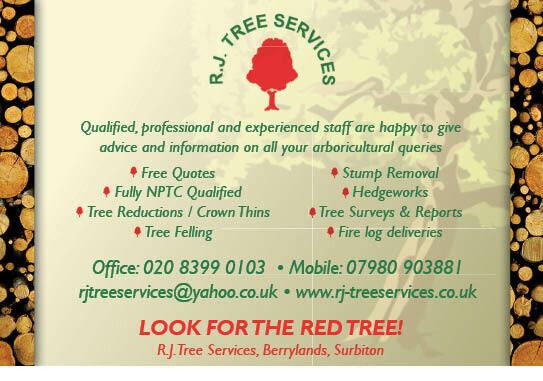 We've been so pleased to advertise in both your New Malden and Worcester Park editions which are interesting magazines full of local information which enhances the feeling of community. We've been really pleased to meet so many of your readers in our stores. Our Hamseys team all send our very best wishes for your continued success. We’ve been advertising in the Village Voice since 2007 and are extremely pleased with the work we get through from your readers. Congratulations on your 100th! Tudor Williams send our heartiest congratulations to Jenny and the Village Voice on reaching the milestone 100th edition. We celebrated our 100th year in New Malden last year, so it has been marvellous to be able to advertise in a Community Magazine which celebrates our Village and informs us not only about present and future events, but also our history. We have been advertising since 2005 and it has been a vital part of our marketing, with great relevance for the local market. As a Village Voice stockist, we always experience a huge demand for each and every edition. Good luck for the next 100 editions. Peter Findlater – Tudor Williams Ltd. I'm an aesthetic nurse, prescriber and founder of Fine Features Ltd, based in New Malden. I've been advertising with you since 2007 and, in this age of texts, email and websites, can honestly say that some of our most successful responses have been from advertisements with your magazine. Thank you very much Jenny and we are looking forward to seeing another 100 editions of Village Voice!" The Malden Fortnight Committee offers our congratulations on reaching your 100th edition. The support and interest we get from the community has been bolstered in recent years by our activities being highlighted within the magazine. Having Jenny as a key member of our committee has probably helped in this respect, but it also shows that not only does Jenny report events that bring the community together, but she also helps create those events and has been involved in a great number of those events throughout the years. As an organisation that seeks to celebrate New Malden, we applaud the Village Voice and long may it continue. Congratulations on your 100th Edition of Village Voice, well done! We would like to take this opportunity of thanking all our valued clients. Congratulations on the 100th edition of the Village Voice. What a great little publication it is, full of interesting facts and information about New Malden and with a real community feel. Here's the next 100 editions! Congratulations to Village Voice on scoring a century with it's 100th edition. The magazine is well produced, informative and entertaining. What's more it is an essential part of the community, providing local news, events and a connection between local residents. Let's look forward to another hundred editions and then a hundred more! Well done Village Voice. Carpets 4 You have been advertising since Jan '12 in both magazines and we're very pleased with the results. Well done! Smith & Byford would like to congratulate The Village Voice on the 100th edition of this fantastic community magazine! We would also like to offer all readers an additional £100 off a new boiler installation throughout February and March 2014 (Quote Village Voice 100th edition). Smith & Byford are proud to have been advertising in The Village Voice since 2009 and look forward to many more editions." Village Voice and Worcester Park Life are great little magazines which are produced to a high standard and target a local audience that is often difficult to reach. The magazines are always an interesting read as well as a useful vehicle for our advertising. We also appreciate the friendly and personal approach taken by Jenny to make advertising in the magazines effortless. Happy 100th! I advertise regularly in both the village voice & worcester park life for me this has been a great success! It has helped me build my local client base really well since I started advertising in 2009. A great useful & professional publication. M Howell Plumbing & Heating. I firstly wanted to congratulate you on your 100th edition of the The Village Voice. I think it is a great achievement to have the magazines running for that length of time with great success. I also wanted to say how happy we have been with the advertising over the years and your hard efforts to insure we are happy with our advertisement and how every thing has been going. I hope you have another good and successful year. "We found Worcester Park life magazine a very useful way to announce our courses and events. Being a start up company based in Worcester park, the magazine gives us a great channel of communication with our community." Worcester Park Life is such a great local magazine to advertise my business in. I got so much interest. I started my baby/ toddler music classes in August. I am now opening the forth and fifth classes. Happy 4th Birthday 'Worcester Park Life' and may I say, a big thank you for the support you have shown to your local police team by running my monthly articles. It has proved to be an excellent way of relaying 'Good News' stories and 'Crime prevention' advice to the people of Worcester Park and Nonsuch wards. Even before we started up Groves Residential I used to enjoy reading the Village Voice magazine on a monthly basis and when we opened in 2010, we felt there was no better way of getting our name out to the community. We have always been very pleased with response to the advertising and also the help and professionalism provided by Jenny. We are always careful to monitor the source of our enquiries and we know it gets results and is read by thousands of local residents every month. We’ve been bowled over by the response to our recent article in the Village Voice about the Party in the Park! 2012, which is proving to be an exciting and vibrant year to be living in our lovely London suburb! Thanks to Jenny for giving us a ‘Voice’ and supporting our community events. Where would we be without the village voice? It is new malden's first stop for all local history, news and services. The many lunchbowl events we have advertised in it have been Hugely successful in the community and many supporters heard about it first in the village voice! Thank you for a magazine which is so supportive of local charities, interesting and informative. Congrats on your 80th issue! As “the local plumber” I’m pleased to be a part of the New Malden Village Voice and Worcester Park Life communities, living and working with the people in the area. The publications bring me a lot of my local work and Jenny manages my Ad in a very helpful, professional manner. I’ve been a regular advertiser in both magazines for a couple of years now and would thoroughly recommend the service to other local, small businesses. Since advertising in the Village Voice & the Worcester Park Life, we are absolutely delighted with the response we have received over the last 3 months. We shall continue to advertise in both magazines to ensure that potential customers are aware of a local family fencing company who are able to offer a traditional quality of service without the price tag. Since advertising in the village voice (Spring 07) and Worcester Park Life (June 08) I have received much interest & a decent amount of profitable work. I am actually very surprised but it has brought me more work than the yellow pages which covers a much wider area. We have tried many forms of advertising from radio to leflet drops. The Village Voice (since 11/05) has been the most cost effective form of advertising with new customers coming in every month. We are so pleased to be part of it. Tudor Williams has been advertising in the Village Voice since it launched in Nov 06. It is extremely popular with readers and the box of magazines we get each month is emptied very quickly! We were delighted to get 87 entries to the competition we ran in the Dec 11 issue – Jenny compiles a fantastic wordsearch for us each year. Thank you! Deborah McMinn, Deputy Managing Director, Tudor Williams Holdings Ltd.
We've been very pleased with our advertising in both magazines with most enquiries leading to confirmed jobs; in addition the regular editorial features run in the magazine have aided us in promting our company as _professional arborists with extensive knowledge on trees from diseases to appropriate surgey operations. We will definately be renewing our annual advertising subscription. We have successfully advertised in the Village Voice since we opened three years ago. It is a great way to effectively reach local residences in New Malden and Worcester Park. I would thoroughly recommend it as a 'must' to any local businesses. The New Malden Rotary Club values the contribution the Village Voice makes to the local community as it enables us to keep residents informed of our forthcoming initiatives and events and report on the results of fund raising activities.We are grateful to Jenny for such a professionally produced local magazine. Fake It Tanning and Beauty would totallly recommend advertising with Jenny (the editor) @ The Village Voice . Jenny gives us a professional service every month, and even helps with design and presentation. With the fantastic distribution service not only do our regular clients see the updated monthly offers and adverts , we also get constant new clientle and it keeps everyone locally up to date with whats going on in the communuity too.